Because of growing user demand and technological innovations in library science, trustees of the Millburn Town Library realized the need to modernize and expand their institution to create a warm, inviting facility for the 21st century. Despite financial considerations that limited the project scope to the renovation of the existing 24,000 square foot structure, CDR Studio executed a master plan through a multi-staged process. 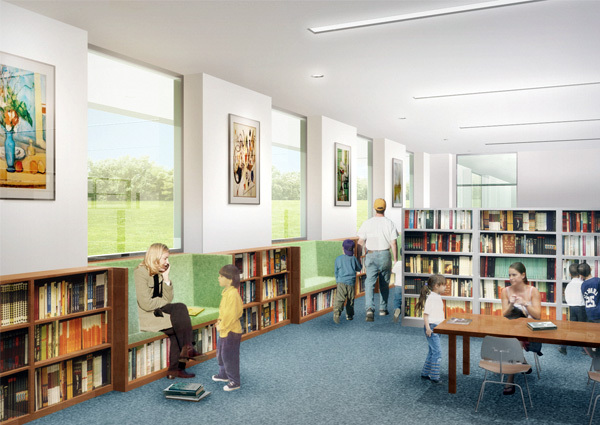 The trustees hired CDR Studio for architectural services outlined in the master plan, and through the course of work, CDR Studio gained valuable exposure to the most current developments in library design. The interior reorganization incorporates emerging technologies from WiFi access to self-checkout stations. 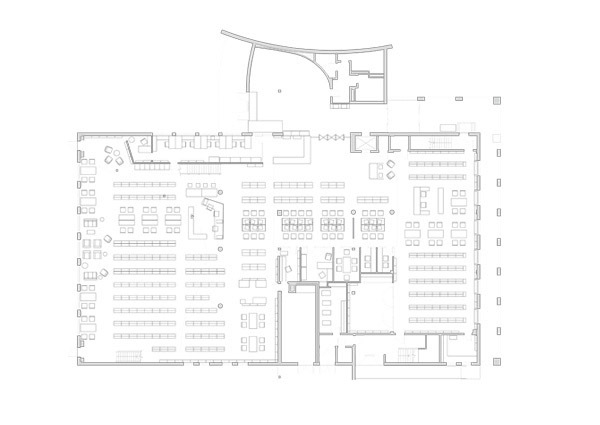 It also exhibits new ideas of spatial organization and programmatic adjacencies while maximizing precious space to accommodate additional stacks, collections, computer workstations, quiet rooms and reading areas. A series of new window reading nooks and a new program room enhance the Children’s Library. By expanding the existing mezzanine within the double-height Main Reading Room, CDR Studio added additional stack space, a teen area and a study area overlooking a nature preserve. The computer workstations (used for Internet access and the library catalog) bridge the zone between adult, teen and children services — creating a zone of intergenerational overlap. A countertop along the mezzanine edge creates a flexible study area. A “quick service” area with “New Releases,” popular media and self-checkout units is featured just inside the library’s entrance; the redesigned entry lobby includes a large public art gallery with a bench for waiting patrons. The lighting in the public spaces emphasizes the primary functions of circulation and reference; it also creates a sense of rhythm and differentiates user areas. CDR Studio's project team included Suzan Tillotson, who executed state-of-the-art lighting design at the Seattle Main Library. The material palette was also a critical component in the creation of an inviting, functional and durable library. 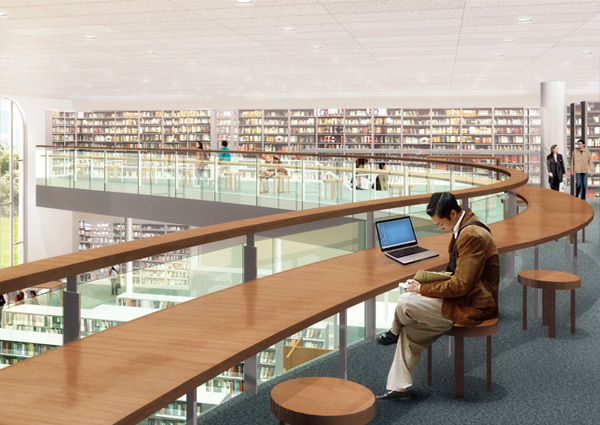 Translucent and transparent glass walls now being used throughout the library extend the feeling of public space, as well as help maximize light and air. In addition, the new material palette — including maple cabinetry and furniture, cork-based flooring, recycled carpets and a custom acoustical ceiling panel system — transforms the existing concrete-block interior, creating a sense of warmth.